Coming March 8, 2014. Need a break? 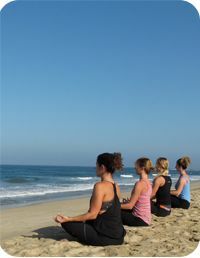 Check out the Yoga and Surfing Vacation in Sayulita, Mexico by Via Yoga. Spend a week in this charming, beachfront location on the central west coast of Mexico. You’ll have twice daily yoga sessions, surf lessons in the afternoons, a day trip to Punta Mita for surfing or snorkeling, and even a one hour massage is included. Plenty of free time in the afternoon to explore the area, hike, go horseback riding, or just relax and enjoy the beach. Just the thing to rejuvenate you!